Have you seen our new entry sign? We have a new entrance sign here at Bozeman Yellowstone International Airport. Thank you to Signs Of Montana for their great work! Click here to view the agenda for the Board Meeting to be held Thursday, July 13, 2017 at 2:00pm. 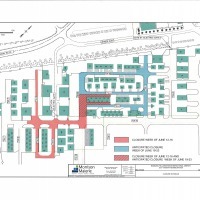 Click here to view the agenda for the Board Meeting to be held Thursday, June 8, 2017 at 2:00pm. BOZEMAN, MT (March 15, 2017). 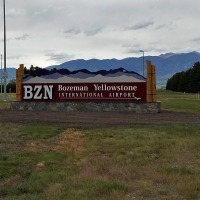 Bozeman Yellowstone International Airport (BZN) today announced that Alaska Airlines will add a second non-stop seasonal flight to Portland, Oregon (PDX) between June 4th and August 26th. These additional flights will provide easy passenger access to/from Portland with convenient connections to other destinations within Alaska Airline’s network with morning and afternoon departures from Bozeman. BOZEMAN, MT (March 10, 2017). Bozeman Yellowstone International Airport is pleased to announce that American Airlines is expanding service to Bozeman this summer with extended and expanded service between Bozeman (BZN) and Dallas/Ft. Worth, Texas (DFW) and new summer service between Bozeman (BZN) and Chicago O’Hare, Illinois (ORD). GREAT FALLS, Mont. — U.S. Customs and Border Protection (CBP), Office of Field Operations would like to announce two Global Entry enrollment workshops to be held by CBP at Great Falls International Airport and Bozeman-Yellowstone International Airport. During these enrollment events, CBP will conduct interviews for conditionally approved Global Entry applicants.